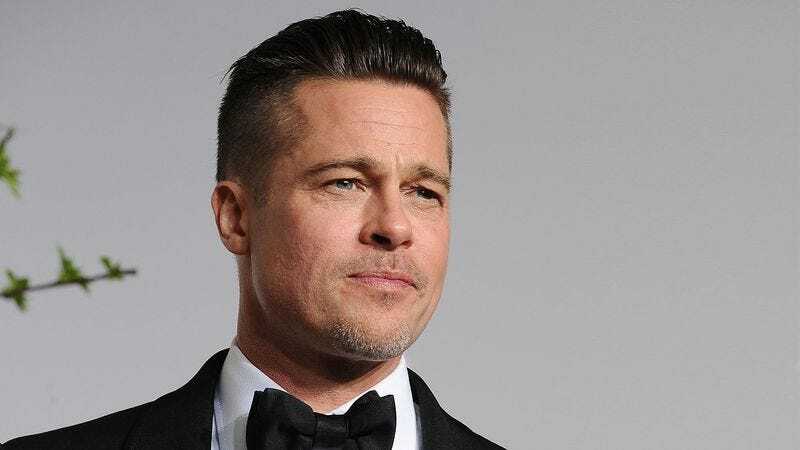 LOS ANGELES—Saying doctors strongly recommended that he stay off the injured foot, representatives for Brad Pitt confirmed to reporters Sunday that the actor was sidelined six to eight weeks with a case of red carpet toe. “He’s had a really brutal stretch of ceremonies lately—the Golden Globes; the BAFTAs; the SAG Awards—so it’s not surprising he’s banged up,” said Pitt’s publicist, Cynthia Pett-Dante, explaining that an MRI revealed the tendons supporting the joint were badly sprained due to the repetitive stress of stopping on red carpets to wave and then pushing off again on the right big toe. “He started feeling some discomfort around the Critics’ Choice Awards and tried to address it by wrapping the toe in some tape under his Ferragamo shoes, but it eventually gave out. He’s obviously devastated to be sitting out the rest of awards season and not being out there alongside his fellow A-listers.” Pett-Dante went on to say that after the healing period, they’d begin slowly seeing how he does on some smaller premieres and press junkets to ensure a smooth recovery.